At Federal Community Children’s Centre, we honour early childhood as the foundation for lifelong learning. Opportunities are provided for each child to grow holistically and to build on strengths, interests, abilities and knowledge. Our educational program is The Early Year Learning Framework which describes childhood as “belonging, being and becoming”. To enable children to feel confident to explore and learn we aim to create an educational environment where children feel safe, secure, loved and supported. Helping children develop a sense of belonging, feel accepted and develop positive relationships within the centre environment is our priority. We place a strong emphasis on supporting emotional development ensuring children develop confidence, resilience, a strong sense of self, empathy and respect for all. 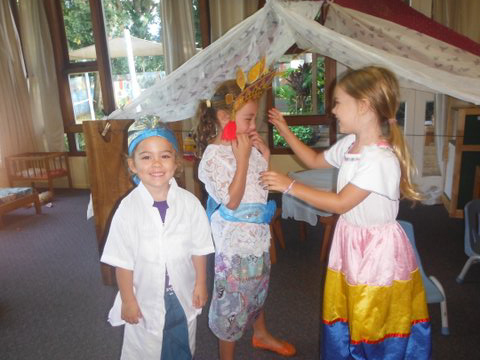 We endeavour to involve and consult with the children on all aspects of our learning program. 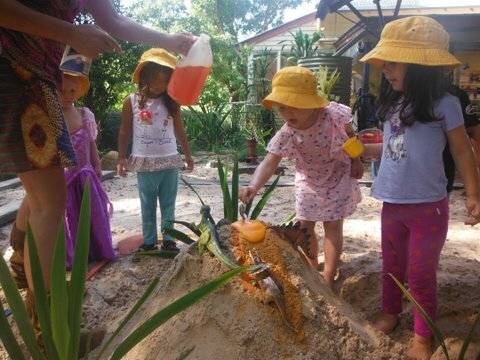 Children learn through play and we acknowledge children as active learners within the environment. We promote laughter and playfulness and fun creeps into every aspect of our program. We uphold the values of social justice and equality, respect differences and actively promote the inclusion of children from culturally diverse families and children with additional needs. We respect educators as an important component of the learning environment. They are valued and respected for the unique qualities they bring to the centre. A team approach is fostered, sharing knowledge, skills and expertise. Open positive communication is the foundation for our strong resourceful team. We believe the environment is part of the learning process and strive to create safe indoor and outdoor environments that are aesthetically pleasing, provide opportunities for discovery and exploration, stimulate the imagination, and help educate children on sustainability and environmental issues. We respect that the child’s family has the most powerful influence on learning and we endeavour to create positive partnership with families for the benefit of their child. Consultation and regular feedback on their child’s learning is promoted. The cultural diversity of each family is valued and celebrated. We are an integral part of the Federal community and we value the diverse range of people within the wider community. We collaborate with community groups and schools to extend opportunities for children and families at the centre. We acknowledge the original custodians of our land, have built close collaborate relationships with the local Widjabul and incorporate Aboriginal culture into our program. Federal Community Children’s Centre is located on land traditionally owned by the Widjabul tribe. Community members established our preschool after the Federal Public School closed in 1978. 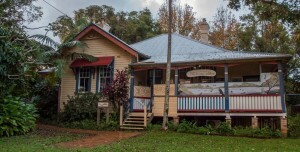 Our premise is the old teacher’s residence, which is leased from Byron Council as a community children’s facility. Federal Community Children’s Centre is a non-profit community based service funded by the NSW Department of Community Services and the Department of Education, Employment and Workplace Relations. In 2003, in addition to the preschool, we added a long day care service to our children’s centre which provides extended hours of care to families within the community.